May 9, 2014 August 4, 2017 / Julie Brook, Esq. A trial should be like any well-choreographed event: strategically order your witnesses for maximum impact. Open strong. Always open the case with a strong witness because first impressions are important, and a good lead-off witness can put the case on a firm footing. Follow chronological order. The most effective way to present a case is usually in chronological order. Telling the story chronologically makes it easier for the jury to follow your case. Use foundational witnesses first. Present witnesses early who can lay the foundation for documents and other important evidence, about which later witnesses will testify. Present witnesses with evidence of liability first. It’s often better to call witnesses that establish liability first, followed by the damage witnesses, so as not to confuse the trier of fact. End each day and week strong. Presenting an important witness at the end of the day or week will leave the jury with a lasting impression. But keep an eye on jury concentration levels, it may be that by the end of the day or week the jury is tired and will have difficulty remembering the witness’s testimony. Sandwich weak witnesses. Stick any witnesses who don’t make a favorable impression in between two strong witnesses, or place them in the middle of the proceedings where they will do the least damage (or where any damage can be rehabilitated later by other witnesses). Balance witness needs. If a friendly witness can testify only at a particular date or time, weigh the benefits of accommodating the witness’s schedule against the effect on your strategic ordering of witnesses. End the case strong. 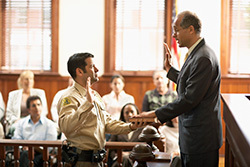 Closing the presentation of evidence with a strong witness creates an impression that will stay in the jurors’ minds as they begin deliberations. Where to place your client in your witness order can be tricky. If your client testifies last, he or she will have been able to observe the other witnesses and become more accustomed to the trial atmosphere. Another benefit is that your client’s recollection about a particular point may be refreshed by the latter stages of testimony. In addition, by testifying about damages in a direct, personal way, your client may leave a strong impression with the trier of fact—perfect for the end of the case and right before jury deliberations. But there’s also a potential disadvantage to having your client go last. When other key witnesses testify before your client does, the opposing attorney may conceive of additional pointed questions to ask your client during cross-examination. Don’t get so bogged down in preparing your witnesses and your questions that you fail to consider the overall structure of your case; choose an order for your witnesses that will create the greatest impact on the jury. If you have questions on any aspect of trial preparation—from structuring the trial to readying witnesses, turn to CEB’s comprehensive practice guide, California Trial Practice: Civil Procedure During Trial. 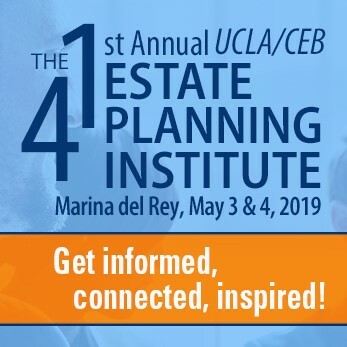 And for step-by-step guidance on trial preparation, check out CEB’s program Everything You Need To Know To Be Ready For Trial, available On Demand.